This Middle Atlantic Slim 5 Series Plexi Door DOP-5-29 is designed to work in conjunction with the Slim 5 Series of enclosures. Choose a door and other optional add-on accessories to customize your cabinet to meet your exact needs. This door can be installed with a left or right swing and comes equipped with a cam key lock and attractive flush pull. Installing these doors in a multi-bay configuration is also possible, but requires a cable chase. This model is designed specifically to fit the Middle Atlantic Slim 5 Series 5-29 enclosure. Protect your equipment from dust and other foreign debris by adding a door to your Slim 5 Series enclosure. This door's cam key lock adds yet another level of security to protect your valuable equipment. 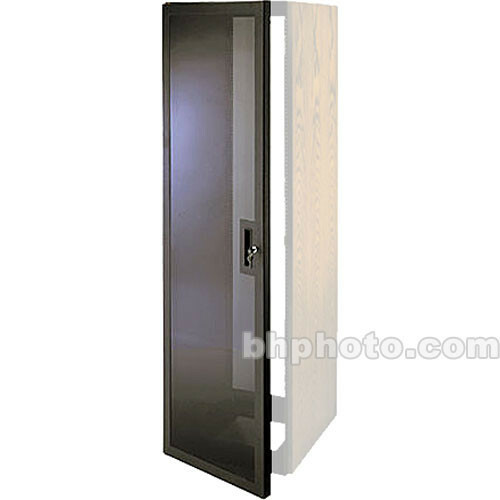 See-through, plexi door keeps your equipment in plain view, even while the door is closed. Box Dimensions (LxWxH) 57.0 x 22.0 x 5.0"